It's nearly impossible to replicate exactly the pita bread eaten in the Middle East, because most home kitchens don't have brick ovens capable of reaching very high temperatures. But this recipe comes very close. Pita bread is served at just about every meal in the Middle East. It can be used for dipping, or to make delicious sandwiches in the pocket. Dissolve yeast in 1/2 cup of warm water. Add sugar and stir until dissolved. Let sit for 10 to 15 minutes until water is frothy. Combine flour and salt in a large bowl; make a small depression in the middle of the flour. Slowly pour the 1/2 cup of yeast water, followed by the 1 cup of warm water into that depression and stir with wooden spoon or rubber spatula until elastic. Place dough on floured surface and knead for 10 to 15 minutes. When the dough is no longer sticky and is smooth and elastic, it has been successfully kneaded. Coat a large bowl with vegetable oil and place dough into the bowl. Turn dough upside down so all of the dough is coated. Once doubled, roll out in a rope, and pinch off 10 to 12 small pieces. Place balls on floured surface. Let sit covered for 10 minutes. Heat oven to 500 F and make sure rack is at the very bottom of the oven. Be sure to also heat your baking sheet. Roll out each ball of dough with a rolling pin into circles. Each should be about 5 to 6 inches across and 1/4-inch thick. Bake each circle for 4 minutes until the bread puffs up. Turn over and bake for 2 more minutes. 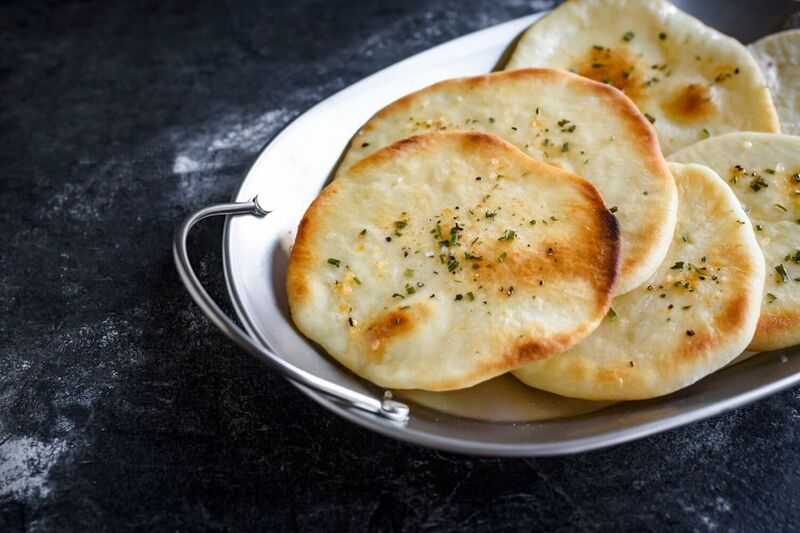 Remove each pita with a spatula from the baking sheet and place on a wire rack. While still warm, take a spatula and gently push down on each puff. When they are thoroughly cool, place in storage bags. Pita bread can be stored for up to 1 week in a pantry or bread box, and up to 1 month in the freezer. Be sure to use freezer bags when storing in the freezer.